How to effectively use the equipment to control moisture in the process area. 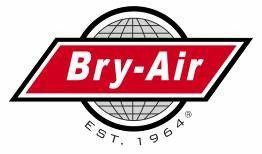 Since dry air may be desired for many applications and specific problems encountered may be as complex as the atmosphere itself, three important steps are the focus of this library: how to select, size, and apply the correct Bry-Air dehumidifier. Consider the following typical situations as examples to assist in guiding us to your solution. When exposed to high relative humidity, such familiar foods as potato chips, dry breakfast cereals, and soda crackers exhibit an affinity for water. These and similar foodstuffs are manufactured using high temperature processes, so we expect that excess water has been driven off and the foods are dry. However, if these foodstuffs are allowed to remain exposed in a humid environment, even for a short time, they will absorb water from the surrounding air. Exposure to moisture, even in the air, affects these foods which often become soggy and rubbery. Reduced shelf life may also be a result of exposure to moisture after processing. Uses of dry air in processing powdery foods as cocoa, gelatin, and dehydrated concentrates, the presence of moisture in the surrounding atmosphere can cause tiny particles of the powder to stick or cluster together, thus inhibiting their free flow in the manufacturing and/or packaging processes. Processing machinery also can be affected by moisture in the air, which can interfere with operation and obstruct the free and easy movement of the foodstuff. Obviously, when moisture can have such a profound effect on food and/or machinery, the solution often lies in conditioning the air surrounding the processing and/or the manufacturing area. Rapid technological advances in the pharmaceutical industry have focused attention on a vast number of moisture control issues. For example, the presence or absence of a specific amount of moisture in the processing area may be required to grow certain organic cultures. Or, the presence or absence of moisture may be absolutely necessary for the manufacture of a particular drug. Strict control of moisture is a key factor in the manufacture of most pharmaceuticals and nutraceuticals. As with foodstuffs, many materials used to produce pharmaceuticals and nutraceuticals have a physical affinity for moisture (also known as hygroscopic materials). This can cause lumping or caking of powdered material. Typically powders that are bound into a capsule or formed into a tablet under high pressures will adhere only when in a dry state. Humidity can cause a tablet to crumble, and in some cases, it can cause the drug to decompose and diminish in its therapeutic value. To assure consistently high quality drugs, the processing area and machinery must be surrounded by air whose dryness is accurately known and controlled precisely and independently to the temperature. The same sort of lumping and caking of powdered substances previously discussed is also a major problem in industrial chemical production. Some chemicals decompose in the presence of water vapor. In other situations, water vapor can actually cause a chemical reaction that changes the character of the product. Atmospheric moisture is also a natural enemy to many grinding and pulverizing operations. Water vapor in contact with the product can make it resilient and difficult to grind, causing it to cling to the grinding machine and defy pneumatic conveyance from one process area to another. Although mildew, rust, and corrosion are the enemies of goods in storage, they cease being threats when the moisture is substantially reduced in the storage area. Generally, an atmosphere of less than 40% RH keeps these degradative processes dormant. Maintaining a dormant state is also important for seed storage. For example, if corn seeds are stored in ambient conditions, it’s possible that as few as 7% will germinate the following season. Contrast that to seeds stored in a controlled environment: they usually germinate in the 90% range. In many instances, moisture is detrimental to functioning electrical or mechanical devices. Thousands of electrical relays may be threatened by pitting due to excessive arcing under high humidity conditions. The presence of water vapor may also corrode the contact points of infrequently operated electrical contactors, resulting in poor closure of electrical circuits and in extreme cases there may be no closure at all. In other locations such as radar stations and industrial applications, electronic equipment is also subject to loss of efficiency and high maintenance costs when exposed to humid conditions. Work environments containing computers and other data processing systems, humidity control is essential for assuring proper equipment function and life. Where practical, maintenance of dry enclosures may be necessary and sometimes it may be necessary to condition the equipment itself, since electrical operating devices often are enclosed in their own metal cases. Frequently, the equipment used to package products will not function efficiently or properly if the surrounding air is humid. Candy wrapping machines and packaging machines for food powders or drug packets are typical examples. Something as simple as a cake mix becomes a double problem: not only does the powdery mix clump and not flow properly in humid conditions, but the packaging equipment is also hindered by the humidity. Depending on the product, it may be necessary to dry the packaging room and even go to the extreme of providing a dry bath for storage bins or hoppers, especially where powders are used. In situations where packages are heat-sealed, a container’s own moisture content may adversely affect the adhesion of the sealing material being used. In this case, neither the product nor the machinery is directly responsible for the problem; instead, the moisture content of the package is the culprit. Surrounding the area with dry air is the solution. Organic products are particularly challenging because of their high degree of affinity for water. Unfortunately, it is often impossible to use heat to release this water because heat can have a damaging effect. Dry, relatively cool air can be used to dry organic materials, but it must be circulated under varying velocities, and this creates the problem of special handling that is required with finely divided particles, for example. Moisture condensation, particularly on moving parts, can be very detrimental. One example occurs as equipment is being cooled in polymer injection molding operations. Because molds are artificially chilled, dehumidified air must be used to surround them, or condensation will form … and water is one item that must be avoided here. Another example is the water pumping station whose numerous valves, fittings, and other parts may become rusty and need periodic painting or replacement. In a large facility, a major effort of repainting, replacement, and mopping up may be necessary to deal with condensed water. Insulating the pipes helps reduce the amount of dripping condensate. However, valves and other such fittings that remain un-insulated present a constant maintenance problem. Dry air in the pumping station and pipe gallery provides a solution. When such hygroscopic raw materials as rubber and plastic are used, process difficulties can occur in a humid atmosphere. Molded products made of these materials can develop “air” pockets caused by stress; other imperfections can result from moisture adsorbed by the raw materials. In automobile production, it may be a virtual impossibility to vulcanize tire cord to rubber when the cord contains moisture. Dry air used for storage and possibly in the production area can alleviate this situation. In marine and land-based applications, sandblasting removes surface damage and exposes the base material, often ferrous metal, that will receive a protective coating. Inside ships, or in underground or land-based storage tanks, a flow of dehumidified air on the newly prepared surfaces prevents rust or mildew formation while clean-up occurs and the coating step is prepared. Usually the dry air is forced inside the structure via normal ventilation lines. When a nuclear power plant is shut down for refueling, a process that can take an entire year, dehumidified air can keep such non-nuclear components as boilers, condensers, and turbines corrosion free. For fossil fuel power stations, the laying-up process is usually part of putting power production on hold. Here the reason may be for furnace or boiler repair or the lay-up might be due to less expensive power becoming available from a nearby source. 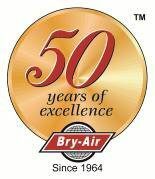 During these periods, a flow of dehumidified air in the facility is used to prevent rust or other harmful, moisture-related problems. Ships can also be layed-up. Some are “mothballed” for indefinite storage. Many such vessels are later reactivated, cleaned-up, and set to sea. During the interim, dehumidified air keeps rust, mildew, and corrosion from ruining the engine room, cargo holds, and living or working quarters. Other ships are part of the “ready fleet” anchored at sea, fully equipped, and ready for a crew to come on board and set sail almost immediately. These, too, are protected by a steady flow of dehumidified air that is continuously pumped throughout the vessel.